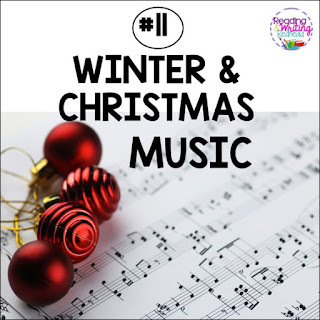 It's the end of November! How did that happen? 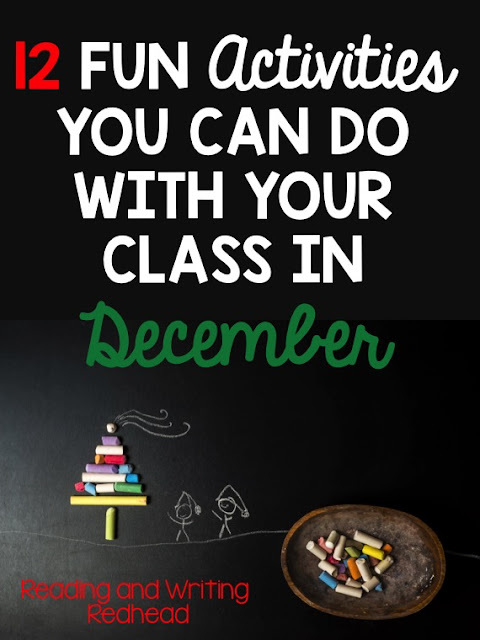 I have been thinking about what fun things I will be doing with my class this year during the month of December. I thought I would share some of the ideas with you since I bet you will be planning too! Most of the ideas are not Christmas-specific since I know some teachers are not allowed to celebrate Christmas in the classroom. I also try to spend a lot of time in December focusing on activities that emphasize generosity and kindness Read on to see what I am looking forward to doing with my class! This is an activity my colleague came up with so I don't have anything formal to share with you, but what I do is have the kids draw names and then send home instructions and write their snowpal's names on it. The students design a special one of a kind card for their snowpal, bring it back to school (sneaking it in by having it wrapped and in a plastic or paper bag for anonymity). Then on a specific day, we exchange them. Students open the cards, read them, and try and guess who gave them a card. It is a lot of fun and really sweet! Here is a brief video of a class who did the same! I send home a letter to my students' parents and respectfully request they don't give me a Christmas gift (but they often do anyway, which is always okay) and instead ask they consider picking out a toy for a tot with their child and bring it in. 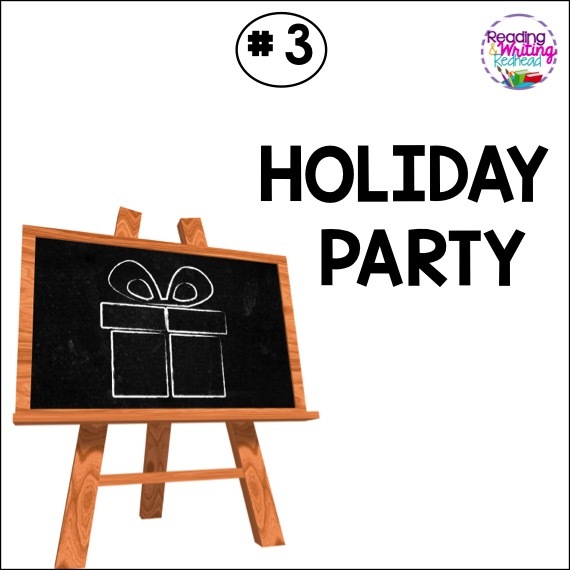 If your school allows, it is fun to have a holiday party with your class. Mine are usually low key, and I have cookie decorating, Mad Libs and more! My town has a council for the aging and they love to get birthday cards and get well cards from the kids. I think they also would enjoy getting holiday cards. 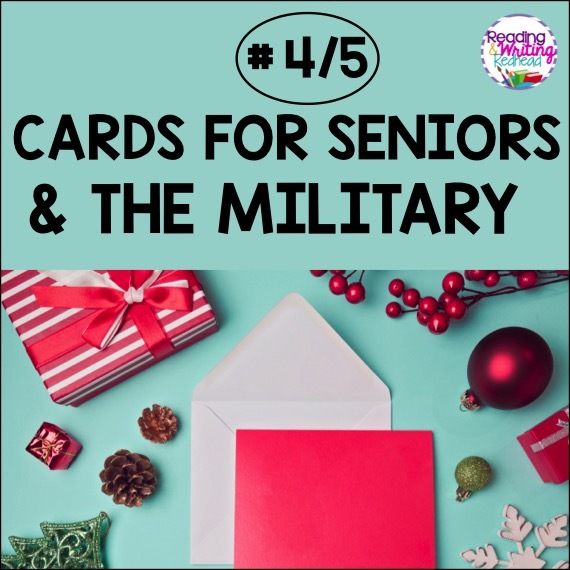 In the same vein as the cards for senior citizens, your students could make cards for military personnel serving overseas. 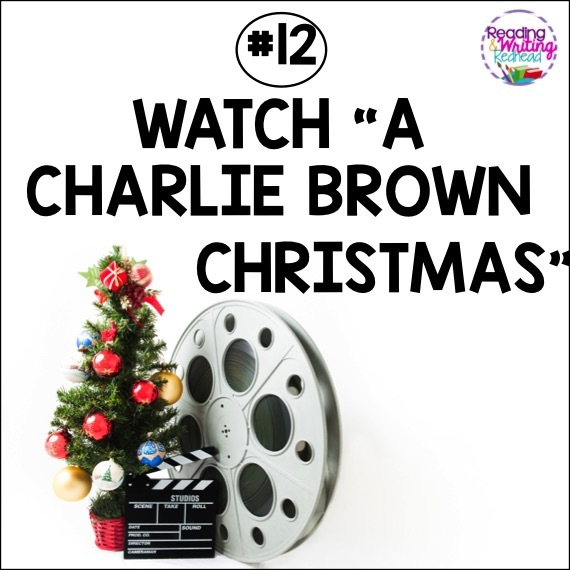 You may want to do this one on the first day of December though, to give your cards time to reach them before Christmas. This is great in places that have cold falls and winters. 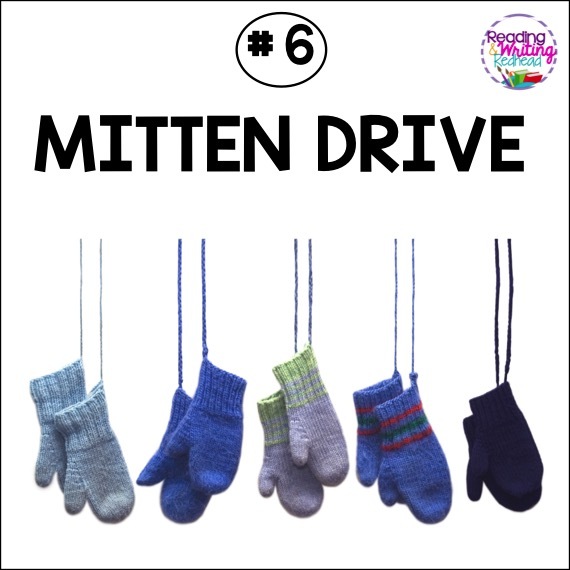 I have heard some schools have mitten trees which they place in the lobby and kids bring in mitten donations. 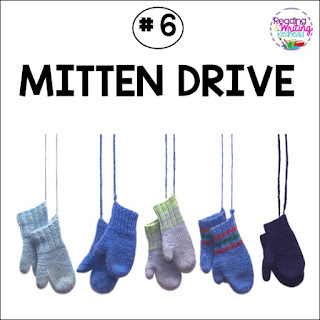 My school has also collected coats, hats, and scarves. 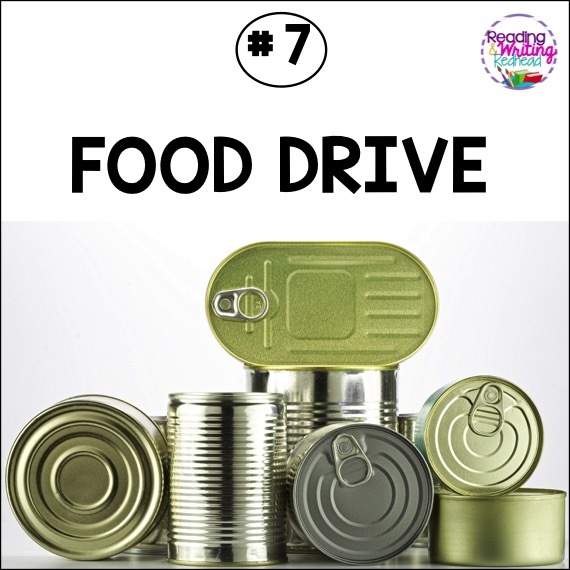 We like to get a few volunteers to help bring the food to the local pantry when the drive is over. Otherwise, it can sit around too long. Have students do one random act of kindness a day for each day until Christmas vacation starts. 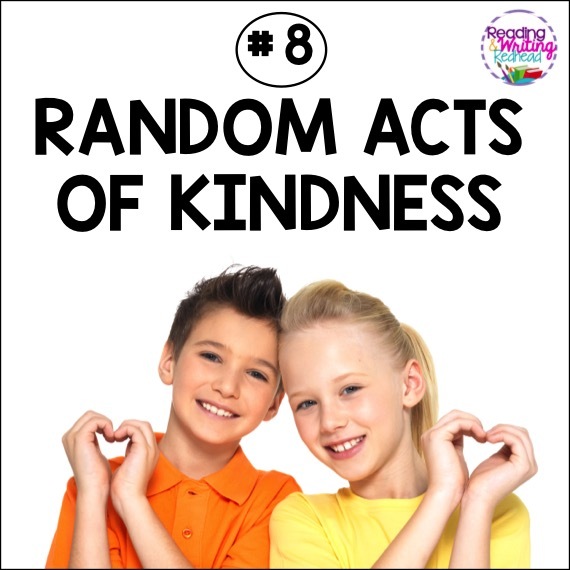 Try searching random acts of kindness on TPT for ideas. You can also brainstorm with your class and download my freebie from TPT to have your students list their ideas. Click here to grab it. Is there a nursing home nearby? 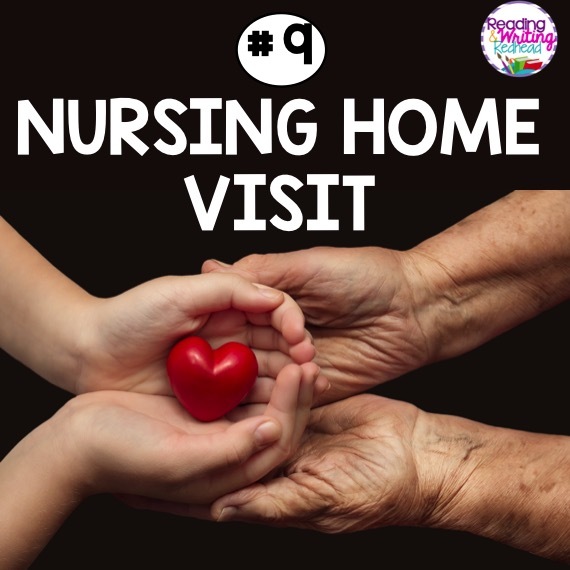 Plan a nursing home visit. Your class could sing songs, read poems and/or put on a short performance. It is amazing the wonderful feelings that would bring during and after for both the nursing home residents and your students! 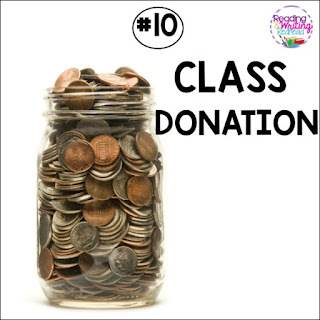 Your class could also collect spare change and, after consulting with the nursing home, buy a small gift for one or two residents who staff knows would not otherwise receive a gift from anyone. 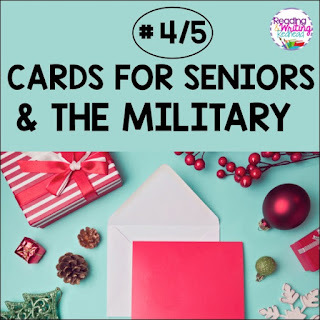 Your class could also create decorations that the nursing home might hang in common areas or give to residents to decorate their personal space! Instead of you, the teacher giving each child a Christmas gift, consider donating just $1 per student to a charity. You could also have the class involved in the decision. For example, many of my students love cats and could really be excited about donating to a rescue organization or shelter. This would also be an interesting opportunity to discuss how to "vet" a charity, or evaluate it to make sure it is honest, and if it would be the best place to donate. For example, WWF is a terrific charity that donates huge amounts to important causes. They are transparent about the fact that if you donate, say, $100, $15 will go to fundraising and marketing. 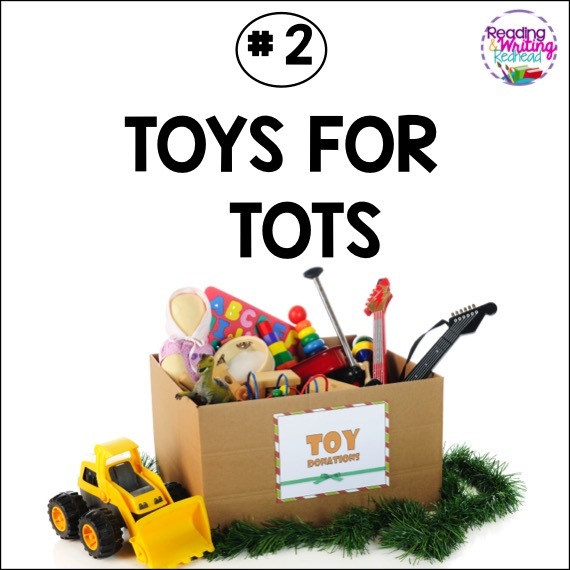 For example, you might get a cute stuffed polar bear or calendar but the cost of that comes out of your donations. Students and you could also use websites that review charities to help you make decisions. It could become a lesson in awareness, economics, decision makings, and even business! And the best part, at the end, you and the students have contributed money to a worthy cause. If you are allowed to play them, there are so many fun songs! And some are relaxing, and winter-themed, like Winter Wonderland. Check out my blog post here for specific suggestions! 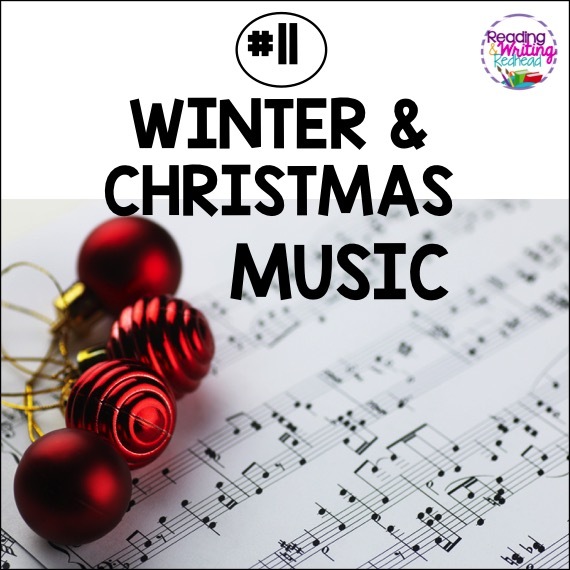 It's titled 10 Christmas Songs to Play at Your School Holiday Party. My all time favorite! Click here to see details on Amazon! What is your favorite December activity to do with your students?